For the first time, speakers at the Superyacht Design Symposium will consist of superyacht industry experts and some of the biggest names from the wider design community. 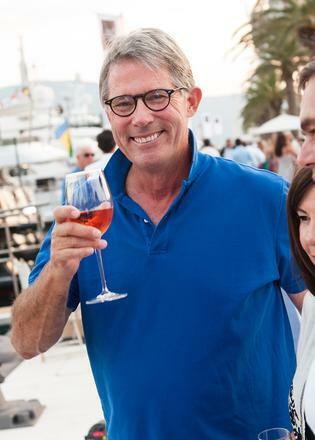 Stephen Bayley, Chairman of the Superyacht Design Symposium Stephen is an author, critic, columnist, consultant, broadcaster, debater and curator, of whom Tom Wolfe famously said, “I don’t know anybody with more interesting observations about style, taste and contemporary design”. He also works with designers, architects, consumer goods and manufacturing businesses at the highest level, including Ford, Coca-Cola, BMW and Conran. His best-selling books and award-winning journalism have, over the past thirty years, changed the way the world thinks about design. With Terence Conran he created the influential Boilerhouse Project in London’s Victoria & Albert Museum, which became the capital’s most successful exhibition space during the Eighties and evolved into the influential Design Museum in 1989. Stephen was formally educated at Manchester University and Liverpool University School of Architecture and, as well as his books and broadcasting work, he writes for a huge range of publications including The Times, The Daily Telegraph, GQ, The Official Ferrari Magazine and The Financial Times. With the backing and guidance of Stephen Bayley, the Superyacht Design Symposium will continue to stimulate and inspire debate and will encourage designers from all over the world, from all genres, to share their stories and expertise, sewing the seeds for the superyacht projects of tomorrow. For the first time, speakers at the Superyacht Design Symposium will consist of superyacht industry experts and some of the biggest names from the wider design community. 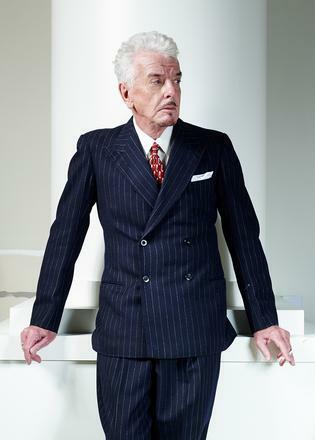 Stephen is an author, critic, columnist, consultant, broadcaster, debater and curator, of whom Tom Wolfe famously said, “I don’t know anybody with more interesting observations about style, taste and contemporary design”. He also works with designers, architects, consumer goods and manufacturing businesses at the highest level, including Ford, Coca-Cola, BMW and Conran. His best-selling books and award-winning journalism have, over the past thirty years, changed the way the world thinks about design. With Terence Conran he created the influential Boilerhouse Project in London’s Victoria & Albert Museum, which became the capital’s most successful exhibition space during the Eighties and evolved into the influential Design Museum in 1989. Stephen was formally educated at Manchester University and Liverpool University School of Architecture and, as well as his books and broadcasting work, he writes for a huge range of publications including The Times, The Daily Telegraph, GQ, The Official Ferrari Magazine and The Financial Times. With the backing and guidance of Stephen Bayley, the Superyacht Design Symposium will continue to stimulate and inspire debate and will encourage designers from all over the world, from all genres, to share their stories and expertise, sewing the seeds for the superyacht projects of tomorrow. 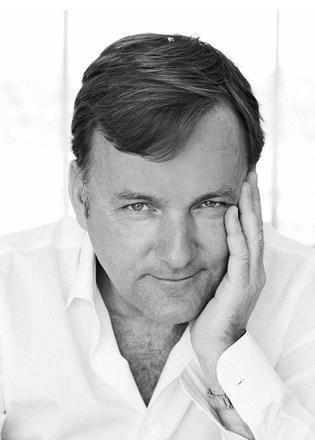 PLENARY SESSION SPEAKER: Superyacht Owner Panel Nick Candy is a British real estate entrepreneur and businessman best known for co-founding global luxury interior design firm Candy & Candy and for his role in some of the most high profile real estate projects in recent times. In 1995, Nick and his brother Christian bought their first property in with the help of a £6,000 loan from their grandmother. They renovated it in their own style and successfully sold it on 18 months later at a substantial profit. Candy & Candy was then established in 1999 and quickly went on to become one of the world’s leading luxury interior design firms, recognised internationally for designing the most luxurious real estate in the most coveted locations, as well as designing superyachts, jets, luxury cars and a wide range of commercial environments. The company’s most high profile project – the globally celebrated One Hyde Park residential development in Knightsbridge, London – revolutionised the residential property market worldwide, breaking industry records and setting unparalleled new standards in luxury design and living. Nick has also diversified his interests outside of Candy & Candy by adding several new companies and investments to his portfolio in real estate, technology, media and telecommunications, healthcare and natural resources. 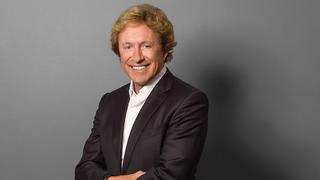 Nick Candy is a British real estate entrepreneur and businessman best known for co-founding global luxury interior design firm Candy & Candy and for his role in some of the most high profile real estate projects in recent times. In 1995, Nick and his brother Christian bought their first property in with the help of a £6,000 loan from their grandmother. They renovated it in their own style and successfully sold it on 18 months later at a substantial profit. Candy & Candy was then established in 1999 and quickly went on to become one of the world’s leading luxury interior design firms, recognised internationally for designing the most luxurious real estate in the most coveted locations, as well as designing superyachts, jets, luxury cars and a wide range of commercial environments. The company’s most high profile project – the globally celebrated One Hyde Park residential development in Knightsbridge, London – revolutionised the residential property market worldwide, breaking industry records and setting unparalleled new standards in luxury design and living. Nick has also diversified his interests outside of Candy & Candy by adding several new companies and investments to his portfolio in real estate, technology, media and telecommunications, healthcare and natural resources. PLENARY SESSION SPEAKER: Form vs Function Ilse Crawford is a designer, academic and creative director with a simple mission to put human needs and desires at the centre of all that she does. As founder of Studioilse, together with her multi-disciplinary, London-based team, she brings her philosophy to life. This means creating environments where humans feel comfortable; public spaces that make people feel at home and homes that are habitable and make sense for the people who live in them. It means designing furniture and products that support and enhance human behaviour and actions in everyday life. It means restoring the human balance in brands and businesses that have lost their way. As founder of the department of Man and Wellbeing at the Design Academy Eindhoven, her mission extends to nurturing a new generation of students to always question why and how their work improves the reality of life. PLENARY SESSION SPEAKER: Is beauty a science or an art? Terence Disdale Design is one of the world’s leading companies specialising in yacht design. The company employs a team of 15 and was formed in 1973. Prior to this Terence Disdale worked as one of Jon Bannenberg’s two design assistants for a few years. His other experiences were in the hotel design industry and with shop fitting and joinery specialists. In his forty years of experience Terence has participated in the design and construction of more than a hundred yachts including fifty of these above the category of 45 meters. Eighteen of his projects have been completed above the category of 60 meters & he is the holder of thirty international design awards for his projects, including their latest creation the 81 metre Kibo which won the 2015 Showboats Holistic Design Award. In 2015 the 163 metre Eclipse was recognised by Boat International with the status of ‘Motor Yacht Of The Decade.’ His forte is in creating the total design concept of the yacht from the water line upward. The design team develops the complete deck by deck planning, the superstructure lines, design and detail as well as the complete and totally bespoke interior. Occasionally they have been invited to work on the interior of private aircraft and the houses of various clients where they have carried out extensive architectural work, landscape design and interior design. PLENARY SESSION SPEAKER: Is beauty a science or an art? Terence Disdale Design is one of the world’s leading companies specialising in yacht design. The company employs a team of 15 and was formed in 1973. Prior to this Terence Disdale worked as one of Jon Bannenberg’s two design assistants for a few years. His other experiences were in the hotel design industry and with shop fitting and joinery specialists. In his forty years of experience Terence has participated in the design and construction of more than a hundred yachts including fifty of these above the category of 45 meters. Eighteen of his projects have been completed above the category of 60 meters & he is the holder of thirty international design awards for his projects, including their latest creation the 81 metre Kibo which won the 2015 Showboats Holistic Design Award. His forte is in creating the total design concept of the yacht from the water line upward. The design team develops the complete deck by deck planning, the superstructure lines, design and detail as well as the complete and totally bespoke interior. Occasionally they have been invited to work on the interior of private aircraft and the houses of various clients where they have carried out extensive architectural work, landscape design and interior design. PLENARY SESSION SPEAKER: What is the new luxury? Axel de Beaufort graduated in design and naval architecture in Southampton University. He set up his own design office (Nacira) in 2002 after having worked with different architects such as VPLP. He was involved in different large yachting projects. Axel de Beaufort was awarded for his own designs of 60 and 70 feet sailing yachts. He received the Yacht of the year award of the London Royal Ocean Racing Club (RORC) in 2005 and the Milano Nautical Design Award in 2012. He joined the Hermès bespoke department in 2012 as consultant for special projects. In 2013, he was appointed design and engineering director for special projects from yachts or private plane interiors to cars and exceptional objects. PLENARY SESSION SPEAKER: What is the new luxury? Axel de Beaufort graduated in design and naval architecture in Southampton University. He set up his own design office (Nacira) in 2002 after having worked with different architects such as VPLP. He was involved in different large yachting projects. 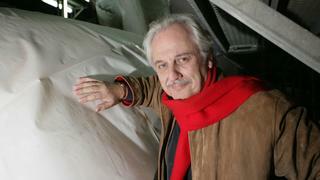 Axel de Beaufort was awarded for his own designs of 60 and 70 feet sailing yachts. He received the Yacht of the year award of the London Royal Ocean Racing Club (RORC) in 2005 and the Milano Nautical Design Award in 2012. He joined the Hermès bespoke department in 2012 as consultant for special projects. In 2013, he was appointed design and engineering director for special projects from yachts or private plane interiors to cars and exceptional objects. PLENARY SESSION SPEAKER: What is the new luxury? Entrepreneur Lapo is the grandson of the late Gianni Agnelli, the famous chairman of FIAT, Italy’s much loved car company. The Agnelli family built FIAT with an inimitable mixture of industrial innovation, shrewd investment and a passion for art and design. Lapo is an inspiration at both FIAT and Ferrari and his Italia Independent consultancy carries on the family work in fashion. He has founded eight companies the latest of which is Garage Italia Customs, which customizes cars, aircrafts and boats with tailor made Italian flair. He’s a passionate sailor and owns Lap1, the first Baglietto MV13, which unsurprisingly showcases Garage Italia Customs fabulous style. Work is currently underway on Lap2. Entrepreneur Lapo is the grandson of the late Gianni Agnelli, the famous chairman of FIAT, Italy’s much loved car company. The Agnelli family built FIAT with an inimitable mixture of industrial innovation, shrewd investment and a passion for art and design. Lapo is an inspiration at both FIAT and Ferrari and his Italia Independent consultancy carries on the family work in fashion. He has founded eight companies the latest of which is Garage Italia Customs, which customizes cars, aircrafts and boats with tailor made Italian flair. He’s a passionate sailor and owns Lap1, the first Baglietto MV13, which unsurprisingly showcases Garage Italia Customs fabulous style. Work is currently underway on Lap2. PLENARY SESSION SPEAKER: Is beauty a science or an art? Theo Fennell went to Eton in the 1960s, and surprised his teachers by becoming the first pupil there in living memory to go to art college. He first studied at the York School of Art and then at Byam Shaw (now part of UAL), and began in portraiture. He soon realised he would starve if he continued down this path, and by pure fate was then offered a job at the great silversmiths Edward Barnard’s where he discovered an aptitude for silver and jewellery design as well as a huge respect for craftsmanship. As well as his one offs and masterworks, Fennell also designs jewellery which is inherently wearable and of course, impeccably crafted. He has numerous famous fans including Lady Gaga, Cara Delevingne, David Beckham and Sir Elton John, of whose AIDS Foundation he is also a committee member. He has a number of accolades under his belt including winning the ‘Oscars of luxury’, the Best Luxury Craftsmanship Award at the Walpole Awards for Excellence. In 2007 he curated Show Off, an exhibition of his works at the Royal Academy, and has exhibited at the esteemed art, antiques and jewellery fair Masterpiece London, for the past 3 years. He also whole-heartedly supports the work of young jewellery and silver students – The Royal College of Art Theo Fennell Awards for Jewellery and Silver are in their 10th year this year, and he also works in conjunction with Central St Martins and Goldsmiths. Theo Fennell went to Eton in the 1960s, and surprised his teachers by becoming the first pupil there in living memory to go to art college. He first studied at the York School of Art and then at Byam Shaw (now part of UAL), and began in portraiture. He soon realised he would starve if he continued down this path, and by pure fate was then offered a job at the great silversmiths Edward Barnard’s where he discovered an aptitude for silver and jewellery design as well as a huge respect for craftsmanship. As well as his one offs and masterworks, Fennell also designs jewellery which is inherently wearable and of course, impeccably crafted. He has numerous famous fans including Lady Gaga, Cara Delevingne, David Beckham and Sir Elton John, of whose AIDS Foundation he is also a committee member. He has a number of accolades under his belt including winning the ‘Oscars of luxury’, the Best Luxury Craftsmanship Award at the Walpole Awards for Excellence. In 2007 he curated Show Off, an exhibition of his works at the Royal Academy, and has exhibited at the esteemed art, antiques and jewellery fair Masterpiece London, for the past 3 years. He also whole-heartedly supports the work of young jewellery and silver students – The Royal College of Art Theo Fennell Awards for Jewellery and Silver are in their 10th year this year, and he also works in conjunction with Central St Martins and Goldsmiths. PLENARY SESSION SPEAKER: What has a superyacht got in common with a warship? Why should we care? Trained at the Central School of Art and Design, Martin Francis worked as a cabinet maker before in 1967 starting working with Architect Norman Foster on a wide range of projects including the glass wall of the Willis Faber and Dumas building in Ipswich. 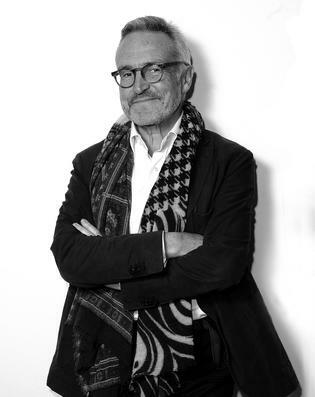 He was for many years a director of Foster associates in London and the managing director of Foster France, working on Stansted airport, the Tecno range of furniture and the Carre d’Art in Nimes. In 1982 he joined Peter Rice in the creation of RFR, a Paris based engineering company where among other things he was responsible for assisting IM Pei in the design of the cable structure of the Louvre Pyramid using yacht rigging technology. 40 years ago he started his career as a yacht designer with a number of large sail boats. His first motor yacht was the iconic ECO (now called Enigma) is now 25 years old and still does 35 knots. This was followed by a number of innovative vessels like Senses, Golden Shadow, Sultan and the 118 meter Yacht ‘ A’ for which he was the Technical and Naval designer, a joint project with Phillippe Starck. He also was engaged by RCCL Celebrity Cruises to design the exterior of the Solstice class – a series of five 120,000 GRT Cruise Ships. He was recently retained by Vitsoe to head the design tem of their new 2000m2 headquarters and production facility to be built in Leamington Spa UK. His largest project to date was the new Lürssen built 124 meter Golden Odyssey delivered October 2015. PLENARY SESSION SPEAKER: What has a superyacht got in common with a warship? Why should we care? Trained at the Central School of Art and Design, Martin Francis worked as a cabinet maker before in 1967 starting working with Architect Norman Foster on a wide range of projects including the glass wall of the Willis Faber and Dumas building in Ipswich. He was for many years a director of Foster associates in London and the managing director of Foster France, working on Stansted airport, the Tecno range of furniture and the Carre d’Art in Nimes. In 1982 he joined Peter Rice in the creation of RFR, a Paris based engineering company where among other things he was responsible for assisting IM Pei in the design of the cable structure of the Louvre Pyramid using yacht rigging technology. 40 years ago he started his career as a yacht designer with a number of large sail boats. His first motor yacht was the iconic ECO (now called Enigma) is now 25 years old and still does 35 knots. This was followed by a number of innovative vessels like Senses, Golden Shadow, Sultan and the 118 meter Yacht ‘ A’ for which he was the Technical and Naval designer, a joint project with Phillippe Starck. He also was engaged by RCCL Celebrity Cruises to design the exterior of the Solstice class – a series of five 120,000 GRT Cruise Ships. He was recently retained by Vitsoe to head the design tem of their new 2000m2 headquarters and production facility to be built in Leamington Spa UK. His largest project to date was the new Lürssen built 124 meter Golden Odyssey delivered October 2015. An Italian architect with a degree in Construction Science from the University of Florence, Cristina Gherardi Benardeau, founder of Paris-based CG Design, has solid experience in the luxury world. She began her career by conceiving all the Virgin Megastores and Kenzo stores in France, and several departmental stores for the Brunswig family in Switzerland. In1994 she joined LVMH as Director of Architecture for Christian Dior Couture developing luxury retail projects worldwide. Those years featured close collaboration with Jacques Grange and Peter Marino for a new architectural concept and the opening of flagship stores in Paris, New York, Geneva, Los Angeles and Tokyo. Next she created the first Giorgio Armani Interior Design Studio in New York, working closely with Mr. Armani designing private homes and residential real estate projects worldwide. At Armani Casa, she designed her first yacht, Odessa, a 53-meter Christensen that won the 2010 ShowBoats Design Award for Best Interior Design. The following year, she founded CG Design in part to respond to the request to design a second yacht for Odessa’s owner. Savannah, his 83.5 meter yacht Feadship, is a finalist for this year’s Design Awards. Meanwhile, residential projects for private clients as well as real estate development for Fendi continues in Dubai, Riyadh and Moscow. She credits the luxury world and working in a varied cultural universe for her sophisticated design yet insists her firm’s primary aim is to conserve a very strong architectural approach. “Our aesthetic is contemporary, however, each project is the result of thematic research based on the client’s expectations and taste, the site, and the cultural environment, bringing together the French art of living, Italian design and American functionality,” she says. An Italian architect with a degree in Construction Science from the University of Florence, Cristina Gherardi Benardeau, founder of Paris-based CG Design, has solid experience in the luxury world. She began her career by conceiving all the Virgin Megastores and Kenzo stores in France, and several departmental stores for the Brunswig family in Switzerland. In1994 she joined LVMH as Director of Architecture for Christian Dior Couture developing luxury retail projects worldwide. Those years featured close collaboration with Jacques Grange and Peter Marino for a new architectural concept and the opening of flagship stores in Paris, New York, Geneva, Los Angeles and Tokyo. Next she created the first Giorgio Armani Interior Design Studio in New York, working closely with Mr. Armani designing private homes and residential real estate projects worldwide. At Armani Casa, she designed her first yacht, Odessa, a 53-meter Christensen that won the 2010 ShowBoats Design Award for Best Interior Design. The following year, she founded CG Design in part to respond to the request to design a second yacht for Odessa’s owner. Savannah, his 83.5 meter yacht Feadship, is a finalist for this year’s Design Awards. Meanwhile, residential projects for private clients as well as real estate development for Fendi continues in Dubai, Riyadh and Moscow. She credits the luxury world and working in a varied cultural universe for her sophisticated design yet insists her firm’s primary aim is to conserve a very strong architectural approach. “Our aesthetic is contemporary, however, each project is the result of thematic research based on the client’s expectations and taste, the site, and the cultural environment, bringing together the French art of living, Italian design and American functionality,” she says. PLENARY SESSION SPEAKER: What is the new luxury? Nicky Haslam is one of London’s best-known and best-loved interior designers, a charmed and charming agent of style and a taste-maker for the rich. His appeal is global and NH Design interiors are sprinkled around the globe from Mayfair to Moscow to Morocco. He’s a social magician who has created the décor for some of the most iconic parties of our age from the Opera Ball in Hong Kong to the Cartier Polo Gala lunch. Its no wonder HRH the Prince of Wales and Sir Evelyn and Lady Rothschild have enlisted his services for their events. Nicky is also a waspish diarist, a talented memoirist and has, latterly, managed the successful transition to cabaret artiste. He is one of the funniest social observers and was a friend of Elvis, Svetlana Stalin and Liberace. Nicky Haslam is one of London’s best-known and best-loved interior designers, a charmed and charming agent of style and a taste-maker for the rich. His appeal is global and NH Design interiors are sprinkled around the globe from Mayfair to Moscow to Morocco. He’s a social magician who has created the décor for some of the most iconic parties of our age from the Opera Ball in Hong Kong to the Cartier Polo Gala lunch. Its no wonder HRH the Prince of Wales and Sir Evelyn and Lady Rothschild have enlisted his services for their events. Nicky is also a waspish diarist, a talented memoirist and has, latterly, managed the successful transition to cabaret artiste. He is one of the funniest social observers and was a friend of Elvis, Svetlana Stalin and Liberace. Monégasque Naval Architect Richard Hein has taken on many roles in the yachting world. He began his career opening a sales and design office in the US for Guy Couach and then moved to the then-largest US yacht builder Broward Marine as its in-house designer, where he was responsible for drawing the yards landmark 120-footers. In 1984 he returned to his native Monaco and opened The A Group design studio where his yachts caught the attention of several European yards and led to him being tapped to help begin Oceanco and then serve as its chief designer and CEO for 12 years, during which time the yard delivered 18 yachts from 35 to 95 meters including the Stargate twins and Al-Mirqab, the biggest yachts ever built in The Netherlands to that time. A management buyout of Oceanco headed by Hein and backed by yacht owner Theodore Angelopoulos, took place in 2002 and in 2004, Hein stepped down as CEO turning sole ownership of the yard to Angelopoulos. Augmenting his design studio, Hein established VegaYachts, a project development and management company focused on vessels in the 100-meter range. Its first project is the world’s first unrestricted PYC class yacht. The 101-meter IDynasty was launched at the Kusch Yachts shipyard in Germany during November 2014 and delivered successfully to her owner in July 2015. Various projects between 70 and 135 meters are currently in development at The A Group along with exclusive residential properties in The Bahamas. “Thanks to our background as yacht builders, all our original and innovative designs incorporate construction knowledge, particularly the complex PYC,” says Hein. PLENARY SESSION SPEAKER: Is the client always right? With experience in the yacht design industry stretching back over 40 years, Tim Heywood has had the opportunities to produce some very well known designs. Pelorus may be his most important ‘iconic’ project, but recent work, such as Topaz, Event and Quantum Blue have shown that his highly original lines, curves and sculptural forms, are still very much in demand. Tim Heywood Design moved out of London five years ago and set up their design studio in Rutland, in the middle of England, from where he, and partner Vanessa, dispatch designs to their current projects in Germany, Holland and the south of the UK. Now using traditional drawing skills, together with computer technology, the end results of his work can be seen in the larger yacht marinas of the world. PLENARY SESSION SPEAKER: Is the client always right? With experience in the yacht design industry stretching back over 40 years, Tim Heywood has had the opportunities to produce some very well known designs. Pelorus may be his most important ‘iconic’ project, but recent work, such as Topaz, Event and Quantum Blue have shown that his highly original lines, curves and sculptural forms, are still very much in demand. Tim Heywood Design moved out of London five years ago and set up their design studio in Rutland, in the middle of England, from where he, and partner Vanessa, dispatch designs to their current projects in Germany, Holland and the south of the UK. Now using traditional drawing skills, together with computer technology, the end results of his work can be seen in the larger yacht marinas of the world. PLENARY SESSION SPEAKER: Is the client always right? Francesco Lovo, graduated in Aeronautical Engineering at the Politecnico of Turin in 1993, starts his career at Fiat Avio with particular assignments related to ESA programs for the development of new generation reusable space launchers and advanced ‘airbreathing’ hypersonic propulsion systems. In 1997 he starts collaborating with Pininfarina Extra as Engineering Manager establishing a new CAD virtual modeling unit for industrial design projects. From 1998 to 2001 he is responsible for business development while in 2002, he takes the responsibility of the creative, design and engineering management at Pininfarina Extra as R&D Director. In 2005-2006, in the occasion of the Olympic Winter Games 2006 in Turin, he manages the whole research, development and manufacturing program for the Olympic torch, produced in 12.000 pieces by Pinnfarina SpA. From 2007 to 2013 he manage the development program at Pininfarina Extra for the new passenger cabin interiors for Sukhoi Superjet-100 regional jet. In the meantime he establish a new architectural-design division at Pininfarina Extra. In the following years he manage the design development programs for superyachts projects collaborating with the selected shipyards and the end users. In 2015 he take the responsibility of the whole operative activities relevant to the Pininfarina projects outside the automotive field as Pininfarina Extra Vice President Operations. Up to now he has managed more than 400 different design projects in different design and industrial fields working with customers all around the world. Francesco Lovo, graduated in Aeronautical Engineering at the Politecnico of Turin in 1993, starts his career at Fiat Avio with particular assignments related to ESA programs for the development of new generation reusable space launchers and advanced ‘airbreathing’ hypersonic propulsion systems. In 1997 he starts collaborating with Pininfarina Extra as Engineering Manager establishing a new CAD virtual modeling unit for industrial design projects. From 1998 to 2001 he is responsible for business development while in 2002, he takes the responsibility of the creative, design and engineering management at Pininfarina Extra as R&D Director. In 2005-2006, in the occasion of the Olympic Winter Games 2006 in Turin, he manages the whole research, development and manufacturing program for the Olympic torch, produced in 12.000 pieces by Pinnfarina SpA. From 2007 to 2013 he manage the development program at Pininfarina Extra for the new passenger cabin interiors for Sukhoi Superjet-100 regional jet. In the meantime he establish a new architectural-design division at Pininfarina Extra. In the following years he manage the design development programs for superyachts projects collaborating with the selected shipyards and the end users. In 2015 he take the responsibility of the whole operative activities relevant to the Pininfarina projects outside the automotive field as Pininfarina Extra Vice President Operations. Up to now he has managed more than 400 different design projects in different design and industrial fields working with customers all around the world. PLENARY SESSION SPEAKER: Is the client always right? Peter Lürssen has been the managing partner of the Lürssen Shipyard since 1988‎, continuing the company's family-owned tradition in the fourth generation together with his cousin Friedrich Lürssen. A graduated naval architect, industrial engineer and having obtained an MBA from Cornell University, Peter Lürssen oversees all seven Lürssen shipyard locations in Northern Germany and is active in the operative business of yacht sales. Not only passionate about yachting and sailing, Lürssen has made the support of marine protection a priority in his charity work. He is a strong supporter of the Blue Marine Foundation, a marine conservancy successfully and efficiently campaigning for the set-up of Marine Protected Areas in the world's oceans, and he passionately spreads the word amongst clients and industry leaders. 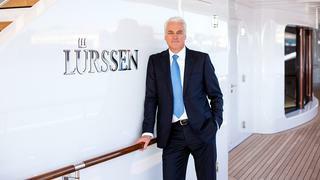 ‎In his free time, Peter Lürssen prioritizes spending time with his family, on sailing cruises or at home in Bremen. Peter Lürssen has been the managing partner of the Lürssen Shipyard since 1988‎, continuing the company's family-owned tradition in the fourth generation together with his cousin Friedrich Lürssen. A graduated naval architect, industrial engineer and having obtained an MBA from Cornell University, Peter Lürssen oversees all seven Lürssen shipyard locations in Northern Germany and is active in the operative business of yacht sales. Not only passionate about yachting and sailing, Lürssen has made the support of marine protection a priority in his charity work. He is a strong supporter of the Blue Marine Foundation, a marine conservancy successfully and efficiently campaigning for the set-up of Marine Protected Areas in the world's oceans, and he passionately spreads the word amongst clients and industry leaders. ‎In his free time, Peter Lürssen prioritizes spending time with his family, on sailing cruises or at home in Bremen. PLENARY SESSION SPEAKER: Is beauty a science or an art? Espen Øino is the principal of Espen Øino International, a leading firm of designers and naval architects based in Monaco, specializing in the design of large, bespoke motoryachts. With over 40 yachts in service and many more currently in build, Espen Øino International is today considered one of the leading design studios in the world. Amongst the more recent deliveries are the new Kismet, the 95 meter Lürssen Ester III, a 66 meter Lürssen Inifinity, a 89 meter Oceanco and Ocean Victory, a 140 meter Fincantieri. Espen Øino is the principal of Espen Øino International, a leading firm of designers and naval architects based in Monaco, specializing in the design of large, bespoke motoryachts. With over 40 yachts in service and many more currently in build, Espen Øino International is today considered one of the leading design studios in the world. Amongst the more recent deliveries are the new Kismet, the 95 meter Lürssen Ester III, a 66 meter Lürssen Inifinity, a 89 meter Oceanco and Ocean Victory, a 140 meter Fincantieri. James O'Callaghan is a structural engineer with more than 20 years of experience. Widely acknowledged as an authority on structural glass, he is perhaps best known for his highly innovative designs for glass stairs, bridges and other structural elements in Apple’s iconic retail stores around the world. He co-founded engineering design firm Eckersley O'Callaghan with Brian Eckersley in 2004. The practice is based in London, with offices in New York, San Francisco, Paris and Shanghai. His contribution to the Feadship Venus was instrumental in demonstrating and justifying that glazing of such a scale could be used in the marine environment. This landmark success has paved the way for his dedicated team of glass engineers to further support the industry in realising large-format glazing and striking glass features such as canopies, stairs or swimming pools in superyachts. The team provides technical design, detailing, and procurement expertise to deliver cutting-edge glass structures meeting classification regulations. O’Callaghan believes that collaboration and engagement are key to continuously redefine what is achievable in this ambitious market. James O'Callaghan is a structural engineer with more than 20 years of experience. Widely acknowledged as an authority on structural glass, he is perhaps best known for his highly innovative designs for glass stairs, bridges and other structural elements in Apple’s iconic retail stores around the world. He co-founded engineering design firm Eckersley O'Callaghan with Brian Eckersley in 2004. The practice is based in London, with offices in New York, San Francisco, Paris and Shanghai. His contribution to the Feadship Venus was instrumental in demonstrating and justifying that glazing of such a scale could be used in the marine environment. This landmark success has paved the way for his dedicated team of glass engineers to further support the industry in realising large-format glazing and striking glass features such as canopies, stairs or swimming pools in superyachts. The team provides technical design, detailing, and procurement expertise to deliver cutting-edge glass structures meeting classification regulations. O’Callaghan believes that collaboration and engagement are key to continuously redefine what is achievable in this ambitious market. PLENARY SESSION SPEAKER: Superyacht Owner Panel Owner and captain of 41m Superyacht Komokwa, Brian O’Sullivan is a self-proclaimed ‘meat and potatoes boater’ who states; ‘luxury for the sake of luxury’s sake has never interested me, unless it serves a higher purpose.’ Currently the President of the Mexico Power Group, Brian is an entrepreneur with an active career in sustainable wind energy and most recently solar energy. He has served on the Board of Directors of the American Wind Energy Associations and is founder of the California Wind Energy Association. In October 2013 Brian departed from Vancouver, Canada for an extended round the world cruise, stopping in at the Montenegro Rendezvous on the back of his tour of the Balearic Islands. Currently the President of the Mexico Power Group, Brian is an entrepreneur with an active career in sustainable wind energy and most recently solar energy. He has served on the Board of Directors of the American Wind Energy Associations and is founder of the California Wind Energy Association. In October 2013 Brian departed from Vancouver, Canada for an extended round the world cruise, stopping in at the Montenegro Rendezvous on the back of his tour of the Balearic Islands. 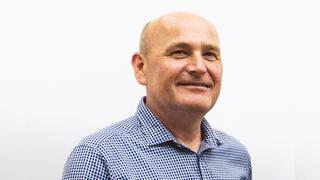 PLENARY SESSION SPEAKER: Form vs Function Paul Priestman is a designer and Director of PriestmanGoode, the leading travel and transport design consultancy whose work ranges from aircraft interiors to hotels, high speed trains, private jets, commercial spacecraft and cruise ships. 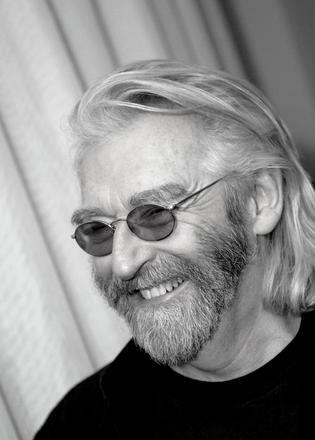 Paul is known for creating luxurious passenger experiences in small spaces and has designed many award winning airline interiors, including First Class cabins for Qatar Airways, Malaysia Airlines, Air France, Swiss International Airlines and TAM Airlines among many others, as well as the new high speed trains in China. Based in London and China, PriestmanGoode employs an international staff of over fifty people – from designers to visualisers and textile specialists – who excel at creative problem solving and continuously push the boundaries of travel and transport design. Paul believes that design is not just about styling, but about making things better, both for passengers, as well as to manufacture, run and maintain. A well-known figure in the global design industry, he is regular speaker on the subject of design and its value to business. He is currently a trustee of the Design Council and earlier this year was voted one of London’s most influential people for the third consecutive year. Paul Priestman is a designer and Director of PriestmanGoode, the leading travel and transport design consultancy whose work ranges from aircraft interiors to hotels, high speed trains, private jets, commercial spacecraft and cruise ships. Paul is known for creating luxurious passenger experiences in small spaces and has designed many award winning airline interiors, including First Class cabins for Qatar Airways, Malaysia Airlines, Air France, Swiss International Airlines and TAM Airlines among many others, as well as the new high speed trains in China. Based in London and China, PriestmanGoode employs an international staff of over fifty people – from designers to visualisers and textile specialists – who excel at creative problem solving and continuously push the boundaries of travel and transport design. Paul believes that design is not just about styling, but about making things better, both for passengers, as well as to manufacture, run and maintain. A well-known figure in the global design industry, he is regular speaker on the subject of design and its value to business. He is currently a trustee of the Design Council and earlier this year was voted one of London’s most influential people for the third consecutive year. PLENARY SESSION SPEAKER: Is beauty a science or an art? Marek Reichman is Chief Creative Officer and Design Director of Aston Martin Lagonda Ltd. Since joining the company in 2005, he has strengthened its iconic styling and led it through a prolific period, introducing the graceful high-performance Rapide S, the new Vanquish and Aston Martin’s recent flagship model, the stunning One-77. The most recent creations to leave the Aston Martin Design Studio include the DB10 Bond car for Spectre, DBX Concept, Aston Martin Vulcan and Vantage GT12. Throughout his career, Marek has been involved with some of the world’s most iconic cars, including the Rolls-Royce Phantom, the Lincoln MKX and Navicross Concept Cars and the Range Rover Mk lll. After beginning his design career with Rover Cars in 1991, Marek moved to BMW Designworks, California in 1995 to become Senior Designer. Here he led the overhaul of Land Rover design DNA for future production models, with the most significant of these becoming 2003’s new Range Rover. He joined Ford in 1999 as Chief Designer for the company’s Ford and Lincoln Mercury brands and rose to the position of Director of Design for Product at Ford North America before moving to Aston Martin. Marek Reichman is Chief Creative Officer and Design Director of Aston Martin Lagonda Ltd. Since joining the company in 2005, he has strengthened its iconic styling and led it through a prolific period, introducing the graceful high-performance Rapide S, the new Vanquish and Aston Martin’s recent flagship model, the stunning One-77. The most recent creations to leave the Aston Martin Design Studio include the DB10 Bond car for Spectre, DBX Concept, Aston Martin Vulcan and Vantage GT12. Throughout his career, Marek has been involved with some of the world’s most iconic cars, including the Rolls-Royce Phantom, the Lincoln MKX and Navicross Concept Cars and the Range Rover Mk lll. After beginning his design career with Rover Cars in 1991, Marek moved to BMW Designworks, California in 1995 to become Senior Designer. Here he led the overhaul of Land Rover design DNA for future production models, with the most significant of these becoming 2003’s new Range Rover. He joined Ford in 1999 as Chief Designer for the company’s Ford and Lincoln Mercury brands and rose to the position of Director of Design for Product at Ford North America before moving to Aston Martin. PLENARY SESSION SPEAKER: Is the client always right? Pascale Reymond is the Managing Director of Reymond Langton Design, an international award winning interior and exterior design company for Super Yachts located in the UK. The company was established in 2001 by the talented design duo Pascale Reymond and Andrew Langton. Pascale’s creative background involves a Master’s degree in Art History from La Sorbonne, Paris before moving to London to study Interior Design. Pascale’s superb attention to detail means that every delivery has unquestionable quality, which undoubtly can been seen in the team’s most recent delivery, Lürssen’s Lady Lara, along with other recent deliveries including the new Kismet, Ester III and Ann G.
Pascale Reymond is the Managing Director of Reymond Langton Design, an international award winning interior and exterior design company for Super Yachts located in the UK. The company was established in 2001 by the talented design duo Pascale Reymond and Andrew Langton. Pascale’s creative background involves a Master’s degree in Art History from La Sorbonne, Paris before moving to London to study Interior Design. Pascale’s superb attention to detail means that every delivery has unquestionable quality, which undoubtly can been seen in the team’s most recent delivery, Lürssen’s Lady Lara, along with other recent deliveries including the new Kismet, Ester III and Ann G.
PLENARY SESSION SPEAKER: What has a superyacht got in common with a warship? Why should we care? Anthony Rix retired as a Rear Admiral in the Royal Navy in 2009. In his 34 year career in the RN he commanded 2 major warships and led national and multi-national operations across the globe. He also served in the UK’s Royal Yacht, HMY Britannia. From 2004 to 2009 he specialised in counter-terrorism and counter-piracy operations in the Mediterranean and Middle East. On leaving the RN he set up and ran a highly successful Maritime Security company based in London with operations in the Indian Ocean, Gulf of Guinea and Far East. He now works as a Director for MAST, a leading international maritime security company based in the UK. He also advises a number of other companies focused on innovative security solutions for Superyachts and commercial clients. Anthony welcomes the opportunity to join everyone at Boat International’s Superyacht Design Symposium 2016 and looks forward to what will undoubtedly be a useful meeting. Anthony Rix retired as a Rear Admiral in the Royal Navy in 2009. In his 34 year career in the RN he commanded 2 major warships and led national and multi-national operations across the globe. He also served in the UK’s Royal Yacht, HMY Britannia. From 2004 to 2009 he specialised in counter-terrorism and counter-piracy operations in the Mediterranean and Middle East. On leaving the RN he set up and ran a highly successful Maritime Security company based in London with operations in the Indian Ocean, Gulf of Guinea and Far East. He now works as a Director for MAST, a leading international maritime security company based in the UK. He also advises a number of other companies focused on innovative security solutions for Superyachts and commercial clients. Anthony welcomes the opportunity to join everyone at Boat International’s Superyacht Design Symposium 2016 and looks forward to what will undoubtedly be a useful meeting. PLENARY SESSION SPEAKER: Superyacht Owner Panel Dr. Alexander Rosa-Alscher studied “Business administration of structure” and “Building construction of architecture” in the cities of Regensburg, Munich, Berlin and Budapest. Dr. Rosa-Alscher is the owner of the Rosa-Alscher Group, which formed in 2006. The Group achieves remarkable architecture under one brand and distributes all the real estate expertise among its independent companies. It enriches the creative processes with experience and quality. Before placing the order for motor yacht Noga as a 100pz custom built vessel, Dr. Rosa-Alscher was the previous owner of five other super yachts. Dr. Alexander Rosa-Alscher studied “Business administration of structure” and “Building construction of architecture” in the cities of Regensburg, Munich, Berlin and Budapest. Dr. Rosa-Alscher is the owner of the Rosa-Alscher Group, which formed in 2006. The Group achieves remarkable architecture under one brand and distributes all the real estate expertise among its independent companies. It enriches the creative processes with experience and quality. Before placing the order for motor yacht Noga as a 100pz custom built vessel, Dr. Rosa-Alscher was the previous owner of five other super yachts. PLENARY SESSION SPEAKER: Form vs Function Stefan Sielaff joined Bentley Motors in July 2015 from his previous role as Design Director at the Volkswagen Design Center, Potsdam. 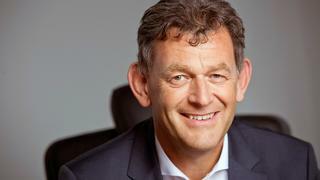 Stefan first joined the Volkswagen Group in1990 as an interior designer for Audi in Ingolstadt. His career then took him to Barcelona where he became Head of Interior Design at the VW Group Design Center, Europe. Between 1997 and 2003, Stefan returned to Audi where he held the position of Head of Interior Design. After a brief spell with DaimlerChrysler, where he was Head of the Interior Design Competence Center, Stefan returned to Ingolstadt in 2006 to become Design Director at Audi, a position he held up until 2012. It was here that Stefan led a team of over 350 design experts with responsibility for exterior, interior and colour and trim design for the full Audi range, concept and show cars. Alongside his current lead role at Bentley, Stefan is also Head of Group Interior Design Strategy, Volkswagen AG. Stefan, who was born in Munich, achieved a master’s degree in vehicle design at the world renowned Royal College of Art. He studied at the famous London institute with an Audi scholarship. Stefan first joined the Volkswagen Group in1990 as an interior designer for Audi in Ingolstadt. His career then took him to Barcelona where he became Head of Interior Design at the VW Group Design Center, Europe. Between 1997 and 2003, Stefan returned to Audi where he held the position of Head of Interior Design. After a brief spell with DaimlerChrysler, where he was Head of the Interior Design Competence Center, Stefan returned to Ingolstadt in 2006 to become Design Director at Audi, a position he held up until 2012. It was here that Stefan led a team of over 350 design experts with responsibility for exterior, interior and colour and trim design for the full Audi range, concept and show cars. Alongside his current lead role at Bentley, Stefan is also Head of Group Interior Design Strategy, Volkswagen AG. Stefan, who was born in Munich, achieved a master’s degree in vehicle design at the world renowned Royal College of Art. He studied at the famous London institute with an Audi scholarship. PLENARY SESSION SPEAKER: Form vs Function Andrew Winch has been in the specialist yacht design environment for over thirty years. Having grown up sailing on the south coast of England in dinghies and cruising yachts, his love of the sea embodies all of his work. Formal training at St Martins’ School of Art, London and Kingston College of Art laid the foundations for his career. This was followed by a year sailing as a crew member across the Atlantic and in the Caribbean on a private 52 foot sailing yacht. On his return he joined Jon Bannenberg Ltd as an apprentice designer. Here he learned his trade and went on to collaborate with Bannenberg on four major sailing yachts; Shirley B (80ft), Acharne (112ft Huisman), Garuda (102ft Nautor custom) and Starlight (94ft). In 1986, Andrew launched “Winch Design” with his wife Jane. Since its foundation, the studio has delivered 75 super yachts including both sailing and motor yacht projects – and has won over 30 prestigious awards from the leading awards bodies. With dedicated Exterior and Interior Yacht design departments and a highly experienced decorating team, AWD offers its clients a fully turnkey design package. The studio’s 2013 deliveries include Madame Gu (99m Feadship), Sea Owl (62m Feadship) and Inoui (33m Vitters). Andrew places great importance on nurturing and developing the AWD team. Based in a converted fire station on the banks of the Thames in London, the AWD team of 70 people (who hail from all over the world) is today recognised as one of the leading International Design Studios. Andrew Winch has been in the specialist yacht design environment for over thirty years. Having grown up sailing on the south coast of England in dinghies and cruising yachts, his love of the sea embodies all of his work. Formal training at St Martins’ School of Art, London and Kingston College of Art laid the foundations for his career. This was followed by a year sailing as a crew member across the Atlantic and in the Caribbean on a private 52 foot sailing yacht. On his return he joined Jon Bannenberg Ltd as an apprentice designer. Here he learned his trade and went on to collaborate with Bannenberg on four major sailing yachts; Shirley B (80ft), Acharne (112ft Huisman), Garuda (102ft Nautor custom) and Starlight (94ft). In 1986, Andrew launched “Winch Design” with his wife Jane. Since its foundation, the studio has delivered 75 super yachts including both sailing and motor yacht projects – and has won over 30 prestigious awards from the leading awards bodies. With dedicated Exterior and Interior Yacht design departments and a highly experienced decorating team, AWD offers its clients a fully turnkey design package. The studio’s 2013 deliveries include Madame Gu (99m Feadship), Sea Owl (62m Feadship) and Inoui (33m Vitters). Andrew places great importance on nurturing and developing the AWD team. Based in a converted fire station on the banks of the Thames in London, the AWD team of 70 people (who hail from all over the world) is today recognised as one of the leading International Design Studios. PLENARY SESSION SPEAKER: What is the new luxury? Richard Woolley is the Studio Director for Design Research and Special Vehicle Operations, working under the direction of Gerry McGovern Jaguar Land Rover board member and Land Rover’s Chief Creative Officer. Richard started his career in the UK, completing studies at Swansea University College of Art and Design before taking on his first design role at Airbus Industrie in Hamburg, Germany. His career at Land Rover began in 1985, when he worked for the Rover Group on numerous passenger vehicle programmes including Rover, MG, MINI, and Land Rover vehicles. During this period he also worked in Tokyo, Japan and Munich, Germany. After a period working in Detroit for Ford Design North America, Richard returned to the UK to take up the role of Studio Director within Land Rover. His significant design achievements upon his return included the 2003 Range Stormer concept, 2004 Range Rover Sport, 2007 Freelander, and 2009 Range Rover. Under Gerry McGovern’s overall leadership, he also directed the design team working on the all-new 2012 Range Rover. Richard leads a team of creative designers who are developing future technologies and looking at other product opportunities for Land Rover. This includes design responsibility for the Special Vehicle Operations business within Land Rover, which develops high-end luxury bespoke and extreme performance vehicles, including the Range Rover SVAutobiography and the Range Rover Sport SVR. In his spare time, Richard enjoys all aspects of design, travel and music. He has a great interest in rugby & football with a particular passion for his national side Wales. He is married with one daughter and lives in Warwickshire. Richard Woolley is the Studio Director for Design Research and Special Vehicle Operations, working under the direction of Gerry McGovern Jaguar Land Rover board member and Land Rover’s Chief Creative Officer. Richard started his career in the UK, completing studies at Swansea University College of Art and Design before taking on his first design role at Airbus Industrie in Hamburg, Germany. His career at Land Rover began in 1985, when he worked for the Rover Group on numerous passenger vehicle programmes including Rover, MG, MINI, and Land Rover vehicles. During this period he also worked in Tokyo, Japan and Munich, Germany. After a period working in Detroit for Ford Design North America, Richard returned to the UK to take up the role of Studio Director within Land Rover. His significant design achievements upon his return included the 2003 Range Stormer concept, 2004 Range Rover Sport, 2007 Freelander, and 2009 Range Rover. Under Gerry McGovern’s overall leadership, he also directed the design team working on the all-new 2012 Range Rover. Richard leads a team of creative designers who are developing future technologies and looking at other product opportunities for Land Rover. This includes design responsibility for the Special Vehicle Operations business within Land Rover, which develops high-end luxury bespoke and extreme performance vehicles, including the Range Rover SVAutobiography and the Range Rover Sport SVR. In his spare time, Richard enjoys all aspects of design, travel and music. He has a great interest in rugby & football with a particular passion for his national side Wales. He is married with one daughter and lives in Warwickshire. Fred van Beers has been the CEO of Blohm + Voss since March 2015 and has held senior leadership positions in the maritime industry for more than 15 years. Fred joined Blohm+Voss from his former position as Vice President Services Northern Europe at Wärtsilä, the global leader in complete lifecycle power solutions for the maritime industry and energy markets with a presence in more than 70 countries. Fred van Beers is a qualified ship engineer, went to sea for four years, and has led all stages of design, engineering, production and aftermarket services. He has a proven track record in delivering profitable sales growth. 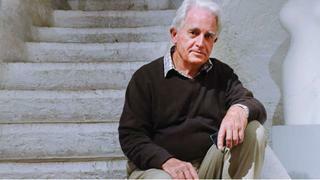 Throughout his career at Wärtsilä and his positions in various maritime industry organisations in the Netherlands and Europe, Fred van Beers built up an extensive international network within the community of yacht and ship owners, yacht designers, shipyards and the maritime supply industry. For the past 20 years delivery of systems and services for yachts has been part of his wider responsibilities. Fred van Beers has been the CEO of Blohm + Voss since March 2015 and has held senior leadership positions in the maritime industry for more than 15 years. Fred joined Blohm+Voss from his former position as Vice President Services Northern Europe at Wärtsilä, the global leader in complete lifecycle power solutions for the maritime industry and energy markets with a presence in more than 70 countries. Fred van Beers is a qualified ship engineer, went to sea for four years, and has led all stages of design, engineering, production and aftermarket services. He has a proven track record in delivering profitable sales growth. 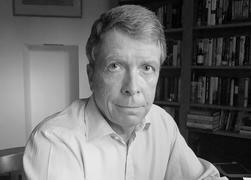 Throughout his career at Wärtsilä and his positions in various maritime industry organisations in the Netherlands and Europe, Fred van Beers built up an extensive international network within the community of yacht and ship owners, yacht designers, shipyards and the maritime supply industry. For the past 20 years delivery of systems and services for yachts has been part of his wider responsibilities.